The college has two academic buildings namely North and South blocks. The North block houses the Departments of Farm Power and Machinery and Soil & Water Engineering along with their laboratories. The South block has departments of Basic Science, Humanities and Agriculture and Process & Food Engineering along with their laboratories and pilot plants. At present, the administrative office of the Dean including various sections of administration viz. Establishment, Accounts & Audit, Academic etc. and College Library are also housed in the South block. However, a separate building for Dean’s office and library has been proposed in ongoing XII Plan, the construction of which is likely to start in 2016. Both, north and south academic blocks have attached three storied tutorial blocks attached to them (North and South Tutorial Blocks). 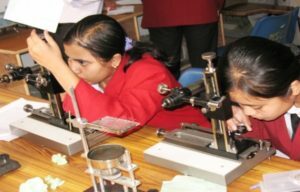 Within a short span of 10 years since inception of college, following 25 laboratories, all equipped with modern and state of art equipment/instruments/apparatuses/machineries have been established. Chemistry, Bio-Chemistry & Microbiology Lab. Agronomy & Soil Science Lab. GIS & Remote Sensing Lab. Soil Mechanics & Soil-Water Conservation Lab. Fluid Mechanics & Irrigation-Drainage Engg. Lab. Farm Power & Farm Machinery Lab. Human Engg. & Safety in Agriculture Lab. Utilization of Animal Energy (UAE-AICRP) Lab. Unit Operations in Agril. Processing Lab. Air Conditioning & Refrigeration Lab. Heat & Mass Transfer Lab. Food & Dairy Engg. Lab.